Indian cricket team is scheduled to tour of West Indies this July for theÂ four match Test series. 49 daysÂ long tour will be starting on 21 July 2016 and Indian squad will be led byÂ Virat Kohli. West Indies vs India 2016 test matches will live telecast on Ten Sports channels. After long time both team play with each other bi-lateral series because West Indies player went back to home because of CONTRACTS CRISISÂ after 4th ODI in 5 match ODI SeriesÂ in 2014. Because of this BCCI has fined US$41.97m damages claim on the WICB.Â West Indies board didn't respond within 15 days. Tour will start with a two-day practice match from 9 July in St. Kitts followed by a three-day warm-up match from 14 July at the same venue. First Test will begin from 21 July at the Vivian Richards Stadium in Antigua and Barbuda. Virat Kohli's team is expected to depart for the Caribbean on 6 July with a new coaching staff. Ten Sports network are the official broadcaster of the India tour of West Indies 2016. Ten 1 and 2 will broadcast all the test matches in India. Matches will start atÂ 10:00 local / 7:30 PM IST /14:00 GMT. Sky Sports will broadcast theÂ West Indies vs India 2016 test series in the UK while the USA cricket fans can watch the tour on Willow TV. 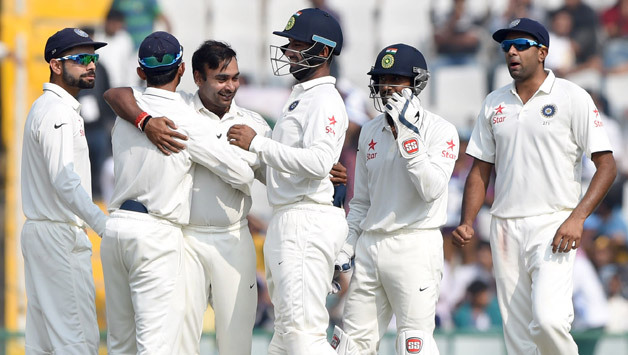 India Vs West Indies 2016 test matches will live broadcast in Australia on Foxsports 4. Indian fansÂ can watch India tour of West Indies 2016 live streaming online onÂ www.tensports.comÂ for free.